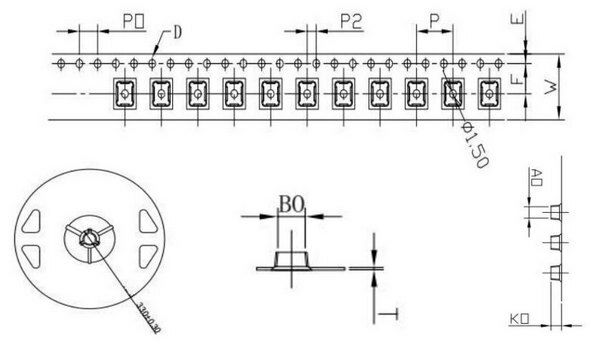 The (PT-B1-DC-0603-940) surface mounted infrared receiving light sensor features fast response speed, stable performance, low current loss in static, and anti-strong light interference. The (PT-IC-AC-3528-520) is a high-precision environment-friendly ambient light sensor. Optical IC with spectral response close to human eye sensitivity. Control all kinds of optical control video control toys and All kinds of optical control infrared testing equipment. Chip phototransistors are silicon monolithic circuits with an integrated light-sensitive semiconductor photodiode — a PN junction which converts light into an electrical signal. Suitable for ultra-thin and multi-point infrared touch screen, replace the traditional CDs resistance. Ambient light sensors mimic the human eye with peak wavelength 520nm and 520nm, anti-infrared interference. Fast response speed and stable performance, Good batch consistency, Small static current. The (PTA1AC3528-850) is a sensor with near the human eye that measures the intensity of visible light. Suitable for all kinds of high illumination or visible light interference strong products, automatic adjustment background light. It can be used for up to 100,000 hours at rated current and rated voltage. Use instructions before soldering this product. After opening the original wrapper, product exposure and humid environment. Product may be damaged during soldering. C: Products that have not been soldered. Reflow soldering of parts within one hours after baking, or immediately store the part in a container of relative humidity less than 20%. 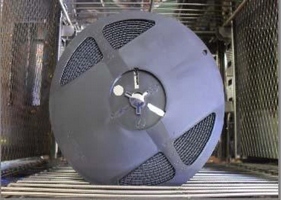 The product should be baked in its original reel under 60°C for 24 hours. 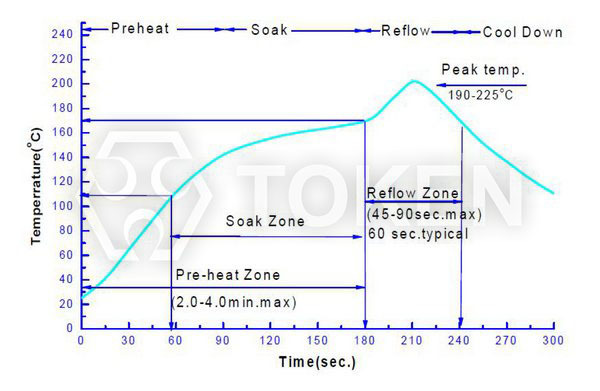 The exposure time of the products after this baking process is again determined by the moisture sensitivity table above. The card with "Humiditor" in the bag is the humidity monitor card. If there is no humidity in the bag, then the color in the black circle of the monitor card is blue as shown in Figure (1). 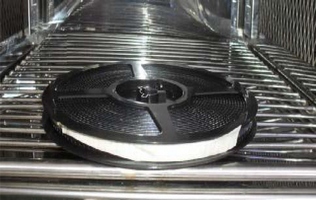 If humidity card "20%" corresponds to the black circle showing the color is pink, then bake and dehumidification the product as shown in Figure (2). Humidity card indicates packaging bag humidity conditions. Electrostatic and surge will cause changes in product characteristics, such as positive voltage dropping, etc. The situation is serious, even damaging the product. do measures to prevent and eliminate static electricity. the worktable needs to cushion surface resistance 106 Ω ~ 109 Ω Table Mat. The ion fan must be installed on the environment and equipment that produce electrostatic easily. Operation process, operators need to use anti-static bracelet, anti-static cushion, anti-static overalls, work shoes, gloves, anti-static capacitors. The resin package of the Chip Light Sensor product is quite fragile. Do not scrape the encapsulated resin part with a hard, sharp object. Should also be very careful when using tweezers to clamp the SMD Light Sensor. Do not directly use the hand to take the Chip Light Sensor products. but also may be due to static factors such as chip product performance changes. Do not exert excessive pressure on Chip Light Sensor, especially when Chips are in high temperature (for example, during reflow soldering). Excessive pressure may directly affect the inner chip and the gold wire. Chip phototransistor working environment and chip adaptation of the material sulfur elements and compounds can not exceed 100PPM. The module material cannot be stacked together and may damage the internal circuitry. Not available in PH<7 acidic sites.